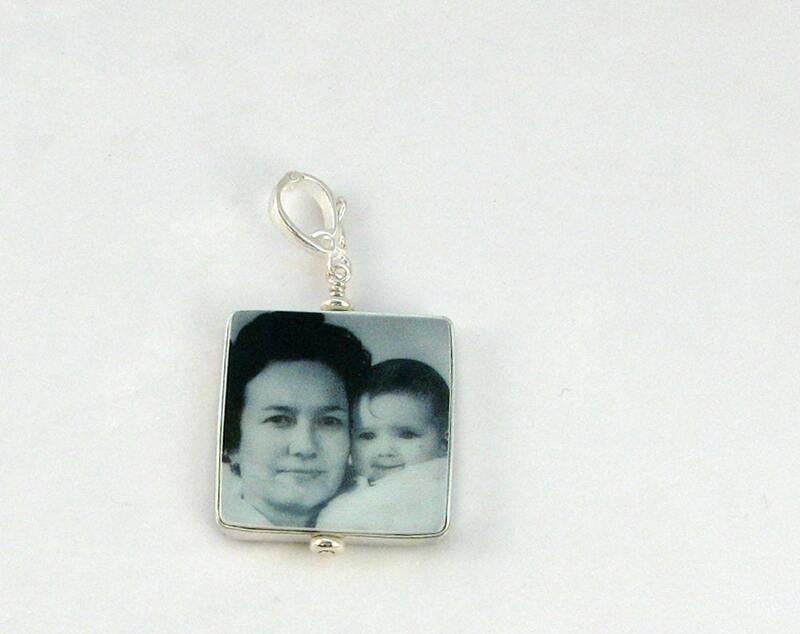 This is a beautiful clay photo pendant that is up to 1" X 1" in size, two-sided and completely unique. This is one of my favorite items to make by far. 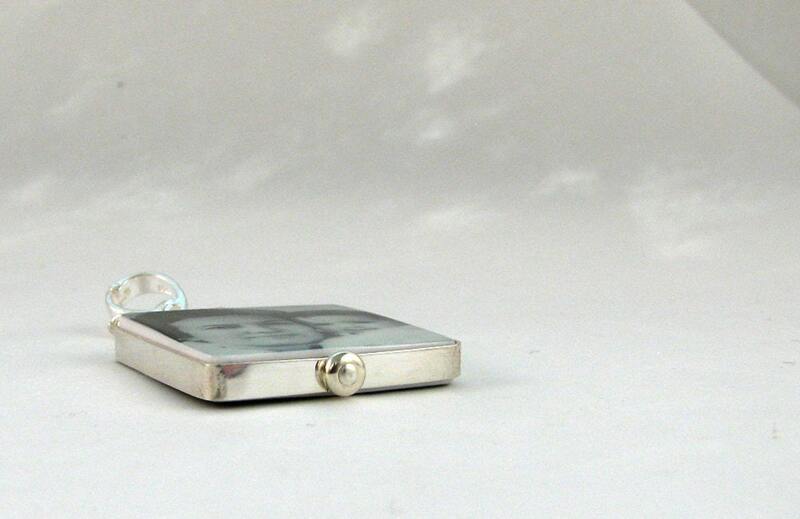 This pendant is so classy and extremely elegant. 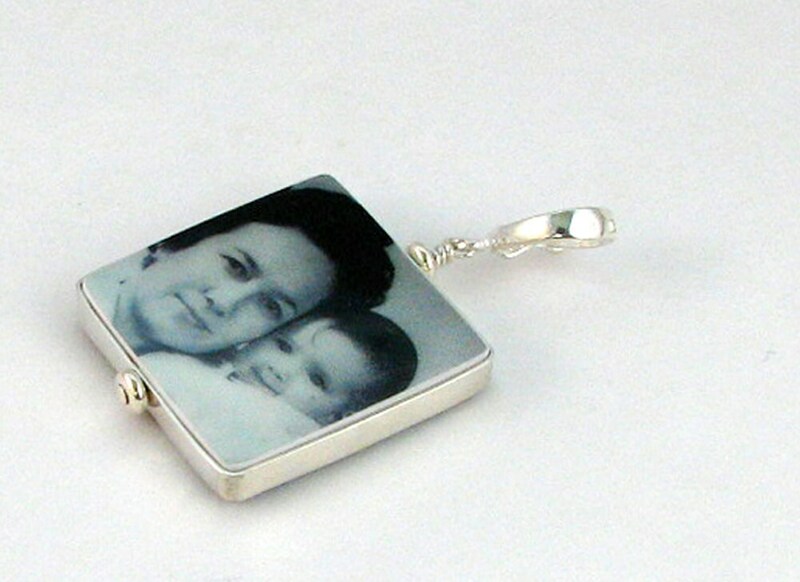 It's framed in a sterling silver Flat Frame with a hi-shine finish. 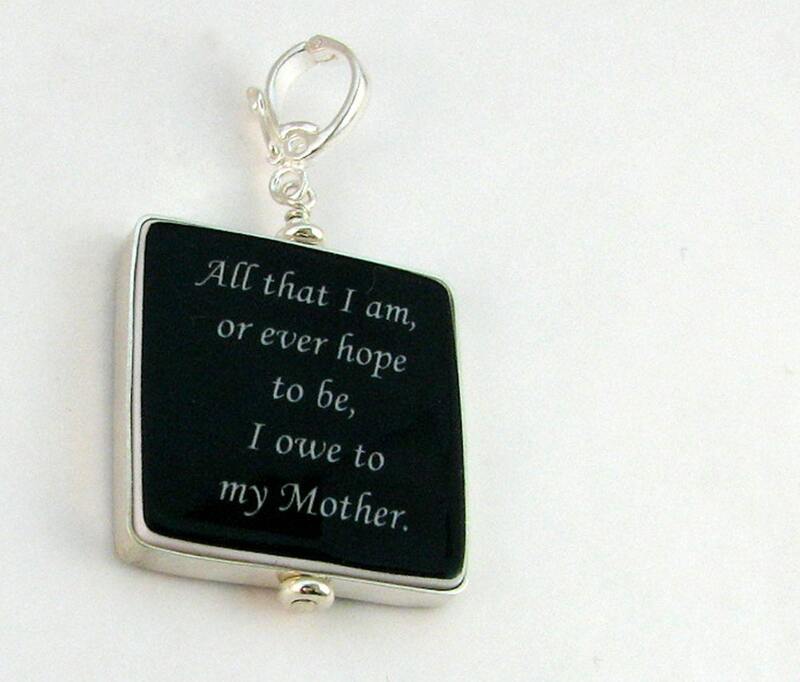 It comes on a sterling silver, interchangeable Fancy Bail that will clip onto anything that has room for it. 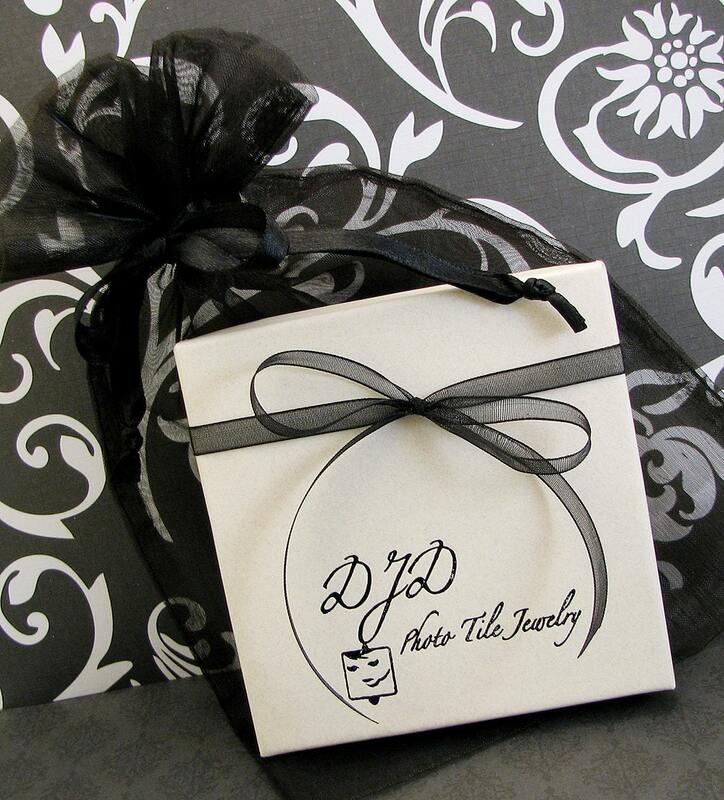 To choose a sterling chain for this pendant view options here: http://www.etsy.com/shop/DelaneyJewelry?section_id=5540400.